Check out the 5 W’s of refinancing for answers to your top questions. 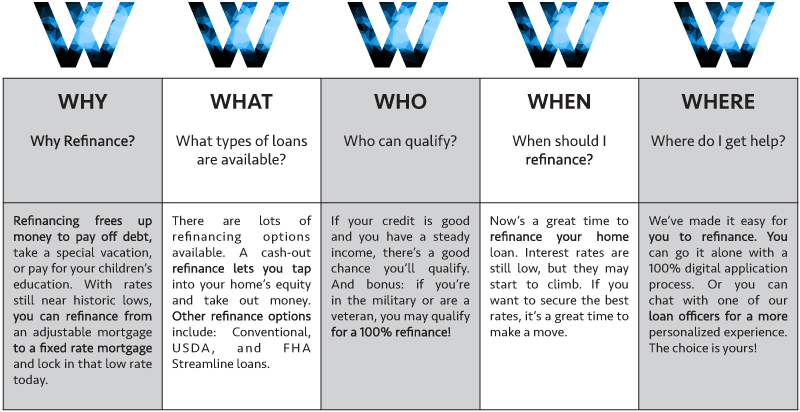 What Are My Refinancing Options? Allow Us to help you with your home loan needs!